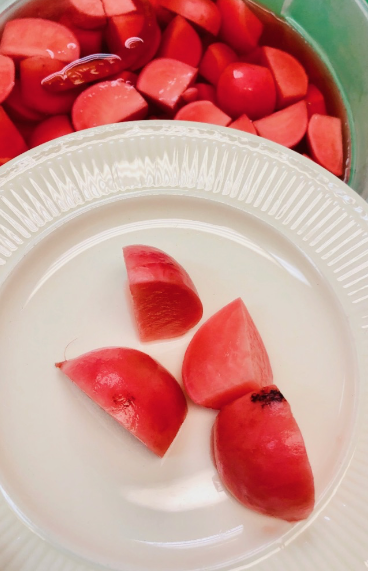 Pickled Radish | Stahancyk, Kent & Hook P.C. 1. Combine all in pot, whisk & bring to a boil. 2. Pour hot liquid over radish. Use a plate or parchment paper to keep them from floating. Cover & leave out to temper. 3. Put in the fridge & enjoy.